In a move to underscore the importance of the Seychelles’ Aldabra giant tortoises and shed light on the plight of the species, a group of conservationists and philanthropists have set up an Indian Ocean Tortoise Alliance (IOTA). The alliance, which was initiated at the recent Paris Peace Conference, is an inclusive, Seychelles-anchored non-profit organisation dedicated to the conservation of the iconic Aldabra tortoise, said a communique from the Department of Foreign Affairs. Speaking at the launch, the founder and chairperson of IOTA, Thomas S. Kaplan, said that giant tortoises had managed to survive on many islands worldwide until humans arrived. “Man has been the driving force behind the extinction of these enchanting creature. What our species has undone, however, can be fixed. In a spirit of collaboration and camaraderie, IOTA will work to bring people and organisations together across the WIO to conserve and manage the Aldabra tortoise, along with other endangered species that can be preserved with this initiative,” said Kaplan. Loustau-Lalanne said that Seychelles fully supports such initiatives as IOTA. Aldabra Atoll is a UNESCO World Heritage Site in Seychelles, an archipelago in the western Indian Ocean. The atoll is home to the world’s largest wild Aldabra giant tortoise population. The current population is approximately 100,000, which is greater than the entire human population of the island nation, which is 95,000. The species has been monitored by the foundation every month since 1998. 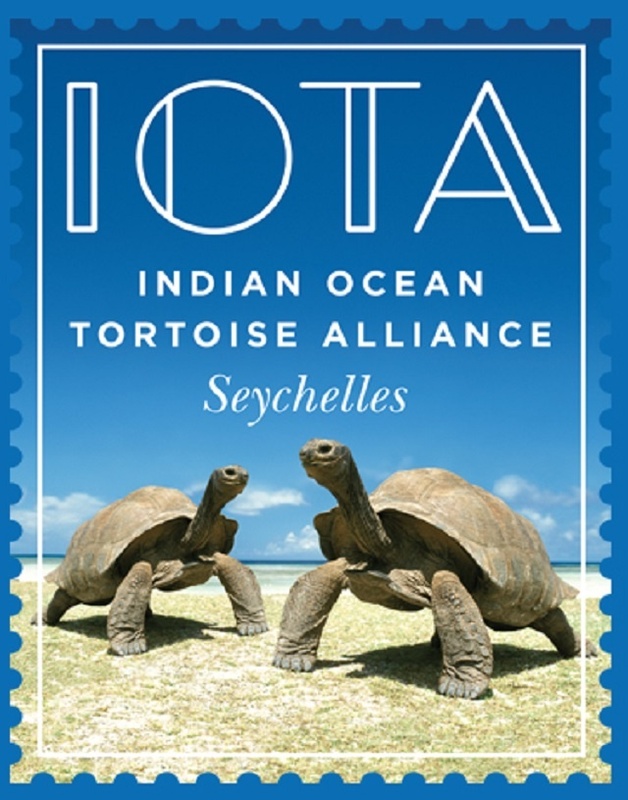 Scheduled to start early next year, IOTA will support and drive research programmes on the remote Aldabra Atoll and the broader western Indian Ocean where giant tortoises have been eradicated. In partnership with like-minded organisations, IOTA will also promote the Aldabra tortoise as the symbol for ecotourism and supports outreach and education activities. 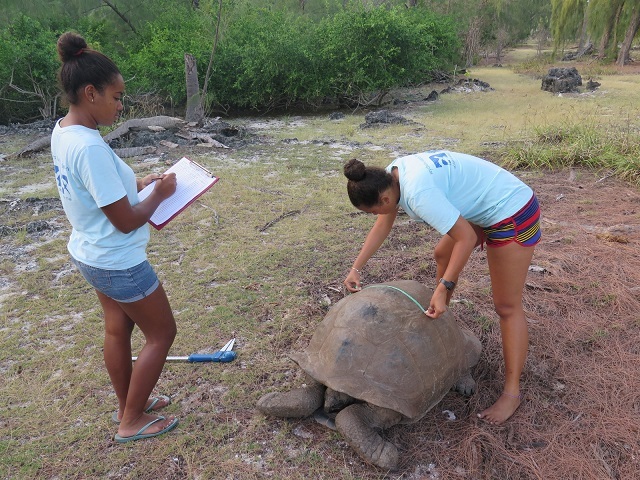 “Giant tortoises are the ecosystem restoration engineers of the future for small islands around the world. IOTA aims to be a key driver of re-wilding actions with Aldabra tortoises on islands across the Western Indian Ocean,” said conservation scientist and IOTA advisor Dennis Hansen. Historically, the giant land tortoises were dominant herbivores on most islands of the Indian Ocean. All seven species that formerly lived on Madagascar, Mauritius and Reunion, a French overseas department, were killed off by 1800 by early settlers and sailors who wanted their meat. After over 100 years of exploitation, the giant tortoise population on Aldabra was similarly in serious danger of becoming extinct. The situation continued until 1900, when Charles Darwin, a British naturalist, offered to pay half the atoll’s lease to anyone who could ensure that the exploitation of the tortoises would cease. The Seychelles Islands Foundation (SIF) has been managing the atoll as a special reserve since 1981 under the national parks and nature conservancy act. This means that Aldabra has been completely protected for 36 years with no extraction of the resources, no destruction of habitat and enforced protection of the marine protected area.